Test Condition Without Shutting Down Battery. 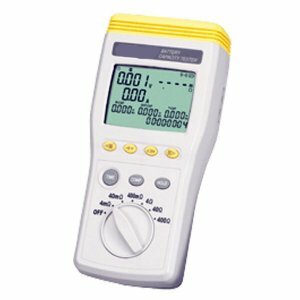 Simultaneously Measure Battery Resistance, Voltage, Current, Temperature. Rates Conditions as Pass, Warning, or Fail. Compact storage batteries, Alkali and lead-acid batteries..
0℃ to 40℃ (32℉ to 104℉), 80%RH or less, non-condensing. Clip – type test lead with temperature sensor, Pin – type test lead, 3092CP DCA current adaptor, Zero adjustment board, Instruction manual, batteries, AC adaptor, USB cable, CD PC software, Carrying case.